Ruffed Grouse depend on young forest habitat so seeing these is usually a good thing. Fall 2015. Emily is getting some good news from one of the judges. Blaze scored a prize 1 in the August 2015 UT. Winkelman's Pepper (owned and handled by Mike Murray). On a cold March training day in 2015. Teaching some newer chapter members about the whoa table. 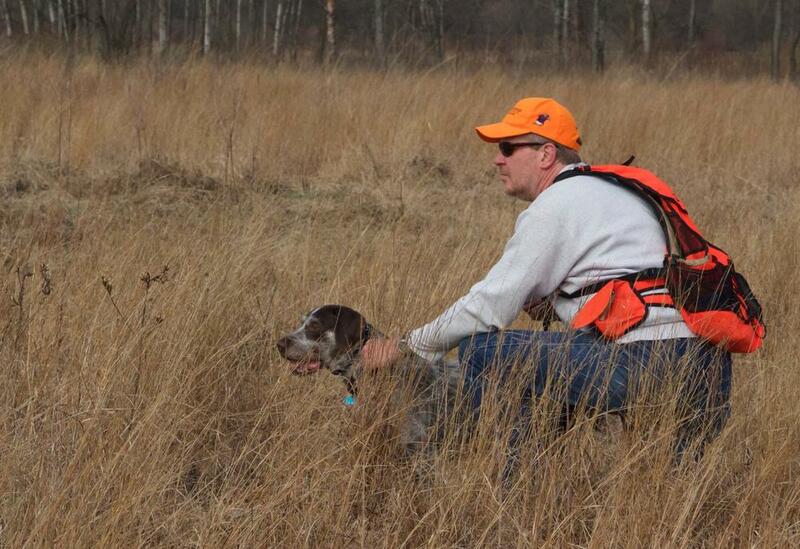 Pheasant hunting in MN at 15 months old. A real versatile dog drives himself to the next covert (Winter 2015). Tim Hauser's Korbel (GWP) with a snout full of porcupine quills. 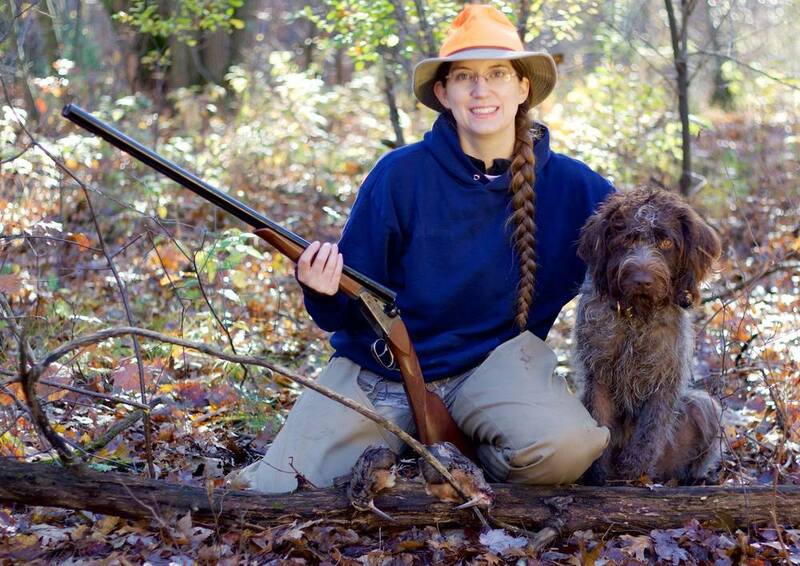 Tim Hauser's Sparkle (ES) and George (future upland hunter). After a hard day hunting in the UP, Kessler (GWP) needs a good nap. Working some quail, chukar, and pheasants at Pine Island. September 2016. 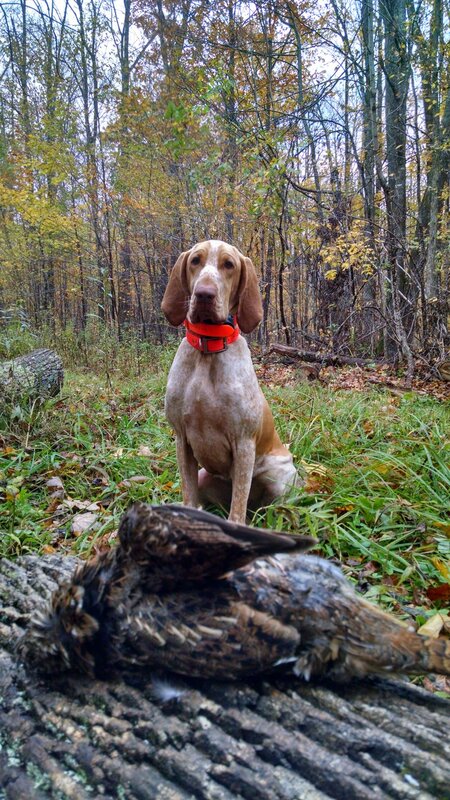 Tim's first hunting dog is now an old man. 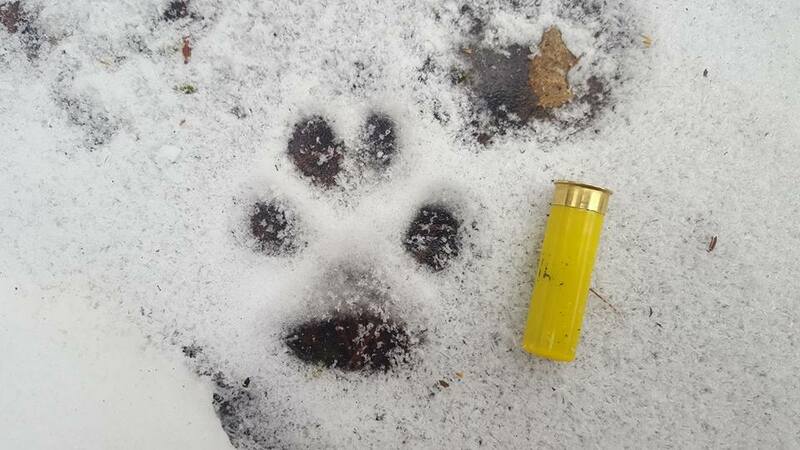 Hunting in the Upper Peninsula, October 2012. Trying to figure out what is more fun: grouse, woodcock, or snowshoe hares. That's a tough one... November 2015. Art says Porcupine tastes so good! At Cedar Valley Preserve in Spring Green during an unseasonably warm February pheasant hunt. Four dogs standing still at the same time. From left to right, Gus, Kessler, Sparkle, and Maggie. April 2016. Looking like a stud while hunting rabbits.